Earlier today down at the Houston Hot Sauce Festival, a handful of chilehead judges tasted dozens of salsas in a Texas-style, shoot-’em-up salsa contest. This competition was held not only to give a few companies bragging rights, but also to raise both awareness and money for the Snowdrop Foundation, a worthy organization dedicated to assisting patients and families at Texas Children’s Cancer Center. Al “Buddah” Goldenberg of I Love It Spicy! 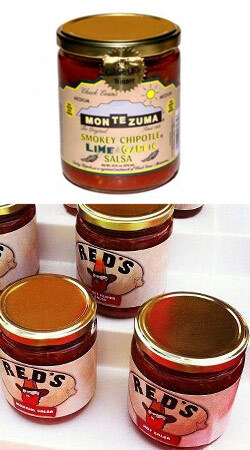 and Carol Borge of the Houston Hot Sauce Festival had put this fiery foods bout together. Just a short while ago, Al had given me the results to post. Congratulations to the winners! Just a few minutes after I post this, awards will be given at a special dinner down at the Houston Hot Sauce Festival.Copyright 2011 ScottRobertsWeb.com.